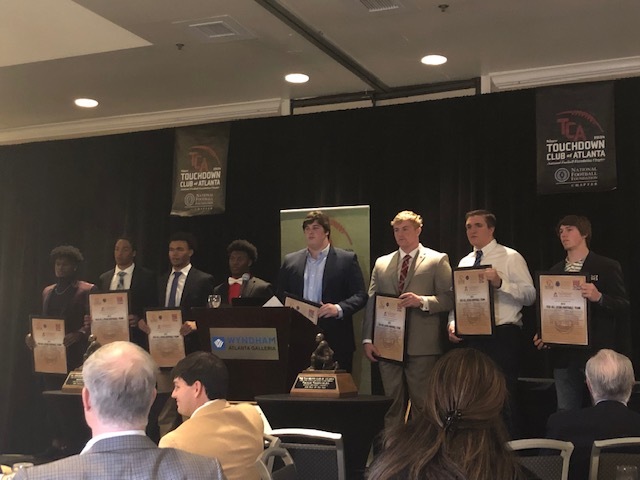 February 6, 2019 (Atlanta, GA): Atlanta high schools send their best players to many of the top college football programs in America, and 2019 was another banner year. 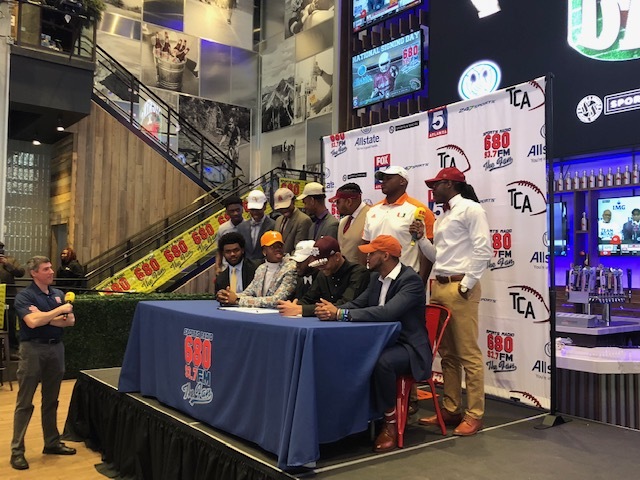 Today saw a number of the top players making things official at National Signing Day hosted by 680 The Fan/247 Sports at Sport & Social in Battery Park. We saw nearly 100 players today from over 10 schools, MC’ed by Rusty Mansell and Doug Konkel. The day got off to a great start, with Rome Wolves star running back Jamious Griffin choosing to stay at home in Atlanta and attend Georgia Tech. Later in the event, we heard from Coach Appling at Buford High who updated the big crowd on the health progress of their own star running back Derrian Brown and teased a big announcement from the Texas Longhorns coming soon.